Your opponent had no creatures in their deck, so we gave you a Chicken instead. 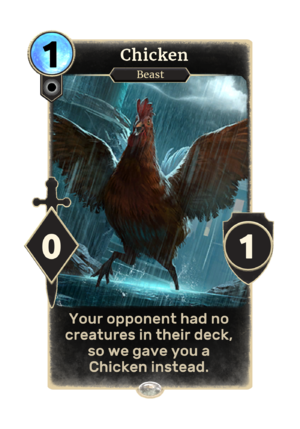 Chicken is a common Neutral creature card. Blackmail with no creatures in the opponent's deck.